Can we recommend the Paleo diet to the government? I've been thinking about this for a while now. Of course this type of diet would not be popular with 99% of the population especially as the bread, rice, pasta industry is big business in most parts of the world. One thing I have heard is that the Paleo diet would not be sustainable. But couldn't we just breed more animals? The human population seems to rise, so why shouldn't the animal population too? Also, many diseases would be solved; no one would have to suffer things like diabetes, obesity would be non-existent and the gradual decline in health as we age would be almost non existent. Of course it may cost a fair amount of money. But think of the benefits, less money needed for hospitals, care homes, certain food industries, no obesity and a greater output as people would be able to be more productive in their healthier bodies - well in my opinion anyway. There are a whole host of other benefits of turning a nation to Paleo; this may sound a bit ambitious, but a start would be to get it recognized and hyped up by the government, wouldn't it? I think even if the government did have access to this diet, for political and economical reasons they may continue with the failed mantras of "eat less, exercise more" and "high carb, low fat" etc. Also the government would not actively have to take the blame, whereas the Paleo diet would be a big risk for a government to undertake in many respects. Perhaps my ideas are crazy or they need developing but its just what I think. I certainly think we need to vote with our fork. but the Govt is looking for concrete numbers of what people need daily and CLEARLY Paleo ISNT about concrete numbers because we are deciding what is right based on how we feel individualy...maybe they could offer percentages but heck, people cant even figures 10% of something when you go in the store to buy a shirt...I dont think the general public will follow it either. Keep up your work, try to convert friends/family through words or by letting them see your own experience. While you're at it, you could recommend that they return to constitutional government, begin to practice fiscal restraint, and look up the word 'subsidiarity' in a dictionary. Good luck with all that. My exact line of thought. I don't think the govt would listen, but you could try. I recently turned in an assignment in my nutrition class denouncing the advice of the FDA and govt nutritionists ... my instructor is a proponent of them. I could have lied but hate dishonesty so I relayed how I truly felt. Maybe that's what we need to do? Tell 'em like it is? @Travis, agree completely. Government needs to stop picking winners and losers--they're usually wrong. Let's stop the insanity of rent-seeking agribusiness using government force to turn small farmers into criminals. I don't think this is so far-fetched. While I'm not one to subscribe to Ehrlicheseque Population Bomb hysteria and I think world population will stabilize in the next decade or so, we're still going to tax food supply, especially if the world eventually ditches grain. You can't feed 8 or 9 billion top carnivores with current methods. "Test-tube" meat might do the trick. The plus side is that you could actually control the fat content a lot better. And the vegetarians would have to drop the moral argument finally. The downside is I bet it will taste like crap. The government isn't interested in anything that makes sense. First, I'm pretty sure that the President doesn't actually work out, so I'm not sure what personal training he's doing. Secondly, both he and his wife eat fatty meat seemingly at every opportunity. Every time they go out to eat. Every big White House party. Meat, meat and meat. And some veggies from the White House garden. Then the First Lady procedes to tell the plebs to eat grains. Third, a vegan calling paleo a silly fad diet=oh the irony! 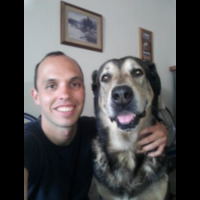 @RG73: Love the comment "Government is, after all, not at all Paleo." How sad is that? Pun intended. So you want to convince the US government to do a complete 180 on their dietary recommendations that have led to epidemic disease in this country? And open themselves up for huge lawsuits based on their pushing an agenda based on flimsy science? Not a chance. They're going to stick to their guns to the bitter end. The bitter end, of course, is soon since we can't really afford to care for all the obese, diabetic, chronically inflamed and other victims of SAD. Moreover, you going to have to convince the following groups: the grain lobby; the pharmaceutical lobby; the AMA, the AHA, and every other physician group that has stuck with the evil fats argument and pushed high carb diets on their patients; all the scientists who have invested decades in promoting high carb "science." Too many people have too much vested in maintaining the status quo. The only way you're going to get a paradigm shift is through a critical mass of people eating Paleo type diets and not coming down with the plagues of modern America; a critical mass of physicians who have come around to embrace the heterodox position; a critical mass of young scientists who keep overturning the bad nutritional science with good studies. And even then you're going to have to deal with all the various environmentalists and whatnot trotting out their arguments about how much corn it takes to raise one cow (umm, here's your answer--it takes exactly zero pounds of grain to get one pound of meat), and how are we going to feed the world, blah, blah. And they may be right--maybe it is unsustainable, but then again, so is having ridiculous birth rates in the face of obvious shortages of even grain based foods. The most realistic thing you can do is introduce it to your friends and relatives. Paleo could eventually gain traction like Atkins did and the consumer demand would just change how companies pursue profit. No, I don't want the government involved. That's the last thing we need. What people eat is none of the government's business and they never should have taken an "official position" in the first place on nutrition. I have no need for anything to be officially recognized. I think it's best to lead by one's own example and spread the word to those who will listen and give it a go. Obama's personal trainer, Cornell McClellan (a Vegan) already called it a "silly fad diet." I wish it could happen, but it won't in my life time. I am hoping for a "survival of the fittest." There is no profit in eating "real foods" for the BIG companies out there, plus they would always be spending money to discredit the eating of REAL FOODS, reaching the masses through the media. I doubt it would work . This way will never be mainstream because there is no profit in it as generated for the SAD way of eating. I can say this because my dogs and cats are fed as nature would eating unprocessed prey animal parts and are the healthiest you can find. Immune systems protect them from all parasites . Suffice to say Healthy because they eat what they were designed to live on. ~bonus is no vet bills unless there is a rare emergency. there is no profit in it. * I get a lot of wild game but other meats mostly from where I buy our food. Same as with us there is no one to make a big profit on what we eat. I don't think broccoli farmers make enough money to bribe, er, I mean lobby the government. Fertilizers and growing a single crop follows the drug dealer economic model. The petrochemicals and single crop kills the minerals, so you need more artificial ingredients and seeds to get the same amount of crop. Vegans and politicians, can talk about future projections of what is impossible. How is the grain based diet feeding the people of the world right now?? The problem is not the product, it's the production methods and the system that produces poverty as a bi-product.. It might change if someone listened to this guy. We could, but it wouldn't work. It has to be a grass-roots effort. Like getting friends and family to go paleo. We have to walk our talk to show them it works. I retired from the Federal government after 20 years. Don't lump all of us together. What about growing meat in a test-tube? (They're working on it.) On one hand it's the ultimate GMO. But, it's a way to cheaply make large amounts of meat with better nutrient profiles than that which comes from CAFO. I think this would help make it sustainable; however, it may fulfill the letter but not the spirit of the Paleo lifestyle.